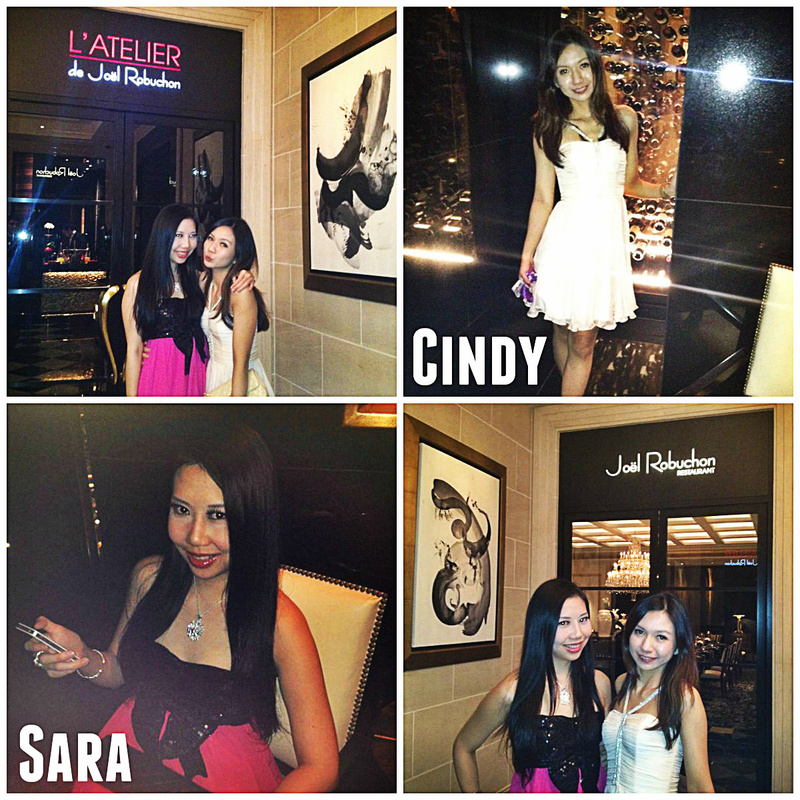 L'Atelier de Joel Robuchon is my favourite French Fine Dining Restaurant. 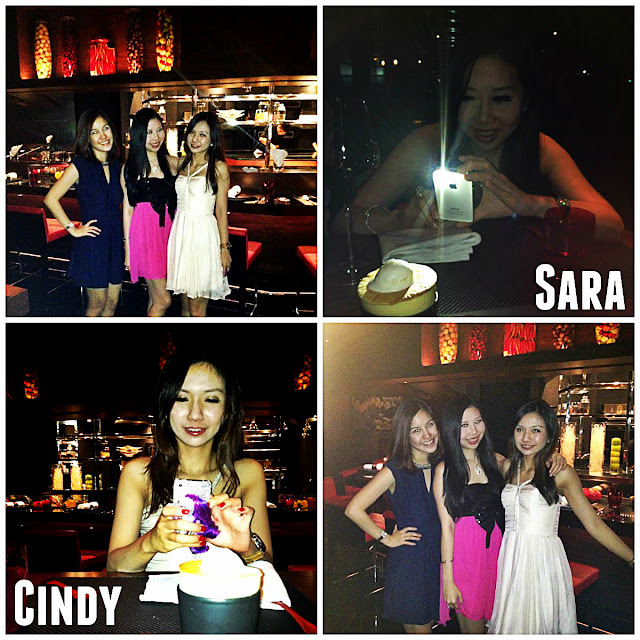 So far, this is my third time blogging about his Michelin Stars Restaurant. I love it as it uses my favourite colours - Red and Black to design the entire restaurant. It is Bold, Modern & Elegant. Dining with class! 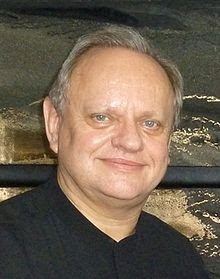 Joel Robuchon is born in France, he was titled "Chef of the Century, by the guide Gault Millau in 1989 and was also award the Meileur Ouvrier de France (France's Best Craftman) in cuisine in 1976. He operates a dozen of restaurants in Macau, Las Vegas, Hong Kong, London, Tokyo, etc, with a Total of 28 Michelin Guide Stars among them. He has the MOST Michelin Stars among any chef in the world. By the way, those guys beside me in the photo above, are the gorgeous butlers. So far, from all the Joel Robuchon restaurants that I have visited, all the restaurants have really good looking and charming doorman, servers, sommeliers, chefs~ Scroll back on all my blogs about them, you will notice, quite a few cute chefs! In the last 2 blogs about him, I have visited his London's Joel Robuchon (2 Michelin Stars), La Cuisine de Joel Robuchon, and Taipei's Joel Robuchon, Salon de The de Joel Robuchon. I was delighted when he opened another restaurant in Singapore. It is located at Sentosa St Michael's Hotel. Driving to St Michael's Hotel is a little tricky, it would be advisable to use Google Maps to find your way there. There's plenty of parking spaces there, but if you would like to impress your girl, valet parking is also available. 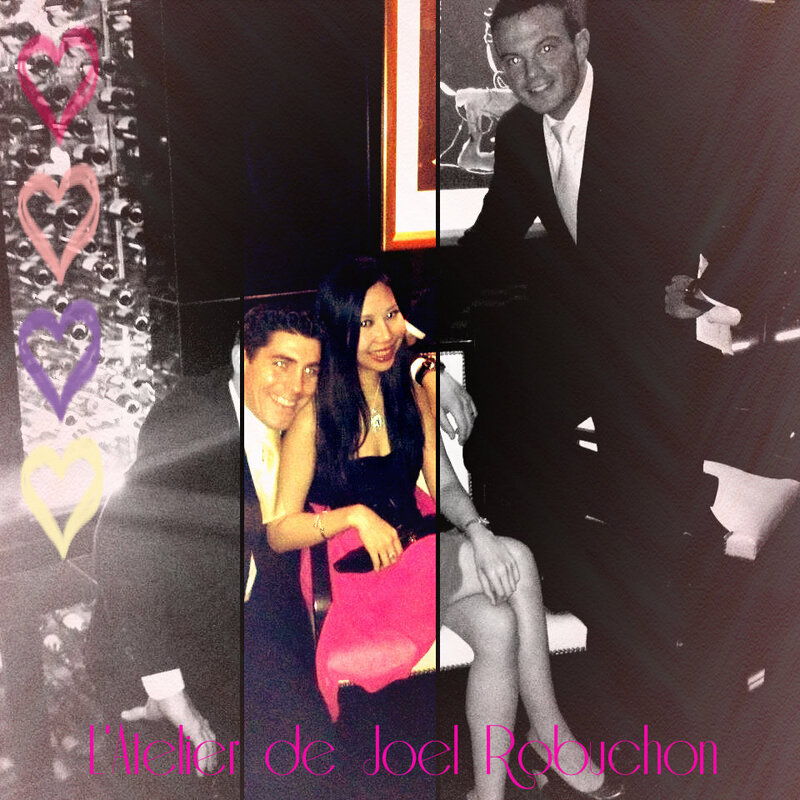 Singapore's Joel Robuchon have not received any Michelin Stars, just yet. But the food, ambience and waiters there, are still impeccable. There are 2 dining choices for you at this restaurant. You may choose to dine at the Red & Black theme room called L'Atelier de Joel Robuchon,or to dine at their classic orangey dim setting, called Joel Robuchon Restaurant. So far, he has 4 restaurants that have been awarded 3 Michelin Stars: Tokyo, Las Vegas, Macau, Hong Kong. Cindy and I love the food there! The set up inside the place, was very similar to the other 2 Joel Robuchon that I have visited in London and Taipei. Everything was Red and Black. It was really pleasant to my eyes. It was dim, modern and very romantic! Absolutely one of the best restaurants in Singapore to celebrate Valentine's Day. A must try is their Le Crabe Royal, Lobster Salad, Black Pepper Rib Eye Steak, and all their deserts are beautiful~ Every single desert that I have tried there is amazingly memorable, as the presentation is amazing.